When developing cybersecurity programs, many businesses focus on protecting their infrastructure's perimter and device endpoints. After all, that's where cybercriminals usually gain first access and wreak havoc on a company’s digital access. But it’s also important to consider what happens when a threat bypasses perimeter defenses and targets an employee in the form of a malicious email or text, or even a voicemail that might prompt an employee to respond with confidential company information. 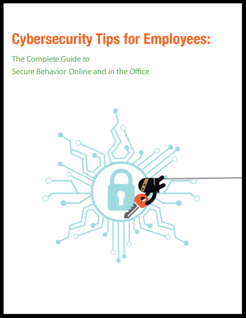 In this eBook, we explore the need for employees to practice strict and secure cybersecurity habits and key steps business owners can take to educate their employees to help secure their company's data. Download our guide to help you prevent employee theft at your company and protect your bottom line. To get your free copy, complete the form to the right.